A reader has specifically asked that I look into the Great Darwinian Paradox as promoted by the authors associated with the Discovery Institute. I say it this way very specifically, because the only references I can find to the paper that they claim presents said paradox is from Meyer, Behe, and Dembski. Second, in order for natural selection to produce evolution, a population must include suitable variation. No one doubts that natural populations include variations, but are those variations the kind that can lead to large-scale evolution? Modern research on the genetic basis of adaptation suggests that they are not. Geneticist John McDonald considers this “a great Darwinian paradox,” since those genes “that are obviously variable within populations do not seem to lie at the basis of many major adaptive changes,” while those that “seemingly do constitute the foundation of many, if not more, major adaptive changes apparently are not variable within natural populations. In Darwin’s Nemesis: Philip Johnson and the Intelligent Design Movement (2006), William Dembski says… well… the same thing. This problem has led to what J.F. McDonald has called “a great Darwinian paradox”. He notes that genes that observed to vary within natural populations do not lead to major adaptive changes, while genes that could cause major changes – the very stuff of macroevolution – apparently do not vary. [Chapter 13] This problem has led to what Georgia Tech geneticist John F. McDonald has called a “great Darwinian paradox”. He notes that the that are obviously variable within natural populations seem to only minor aspects of form and function – while those genes that govern major changes, the very stuff of macroevolution, apparently do not vary or vary only to the detriment of the organism. Looking at this, we see something interesting. Behe went from just a straight up quotation. It’s been modified using almost the exact same language* and continue to add interpretations to the work. We also see that Meyer is copying his own work from previous years. Why is this an awesome book again? Thanks to another reader, I have gotten a copy of McDonald’s actual paper. Reading it, I wonder how many of the Discovery Institute authors have actually read it. How many have just taken what one of their fellows said previously and done what most 10th grade students do for research papers (i.e. change a few words in an attempt to avoid plagiarism). By adding their own interpretation of the prior authors work (using secondary sources instead of primary sources), quite a bit of error has crept in. I’m sure it’s just a bit of error, we all know that no creationist would say something that wasn’t true, especially if he is quoting an actual scientist’s paper. No, I can’t do it, that level of sarcasm is too much for me. These people are liars. Either they are directly lying in order to make someone appear to say something that they actually didn’t or they are the worst researchers ever and shouldn’t be allowed to write non-fiction. Which is it creationists? What I continually find stunning is that creationists find a comment by a scientist (like McDonald or Gould or Darwin for that matter) and try to make it seem like the scientist is saying that there is a fundamental problem with evolution and therefore, design is a valid alternative. McDonald is a geneticist with Georgia Tech, whose lab is currently doing cancer research. In the late 90s, he was doing a lot of genome and evolution research. He’s been doing this research for over three decades. So why does a scientist think that there is a great Darwinian paradox and does it really mean that the ID guys have a leg up? The paper in question is by John F. McDonald and titled “The Molecular Basis of Adaptation: A Critical Review of Relevant Ideas and Observations” published in the Annual Review of Ecology and Systematics, Vol 14 (publish 1983). Wait… what!?!? It was suggested to me (a few weeks ago, by a scientist that I greatly respect) that references to things 10 years ago was too long ago. Even Behe’s first use of this article was over ten years out of date. We’re now rocking on nearly 30 years since the publication of this article. At this point, the only way I would use an article like this is for historical purposes or for a piece of data established at the time and not contradicted since then. So, Meyer, in Darwin’s Doubt, wants to hang his premise on three words written thirty years ago. OK, well, let’s look to see what the article actually says. The author states that his paper will focus on molecular events that “must have served as the source of adaptive evolution and will continue to do so.” That’s a rather interesting statement coming from an author who, according to the DI crowd, thinks that there is a “great Darwinian paradox”. McDonald continues by asking three questions. What kinds of changes or variations in the hereditary material will result in the generation of adaptive phenotypes? What is the origin of these variations? What mechanisms amplify these variations in populations and species. Far from saying that these kinds of things cannot happen, McDonald seems to be intending to explore the concepts and, hopefully, answer the questions that he asks. (Spoiler alert: He does.) We haven’t even read a full page of material here and already, it’s not looking good for the creationists. McDonald talks a bit about the history of molecular biology, including the substantial levels of genetic variation in populations discovered in the 60s and 70s. Then he discusses the first area of concern (I’ll try, but please ask me to explain if you get lost). The concern, at the time, was that “why are the organisms in a population so variable”. For example, humans have some 700+ variations of the HLA-B allele. Why do all those variations exist? If one of the alleles is “best”, then shouldn’t the others be “less fit” and slowly be eliminated from the gene pool? I’ve even heard creationists use this as an attempt to support Young Earth Creationism. If, they say, evolution is correct, then species will, over time, lose unfit alleles and they will all be very, very similar. Since this isn’t the case, there must not be enough time for evolution to have acted and therefore the Earth is less than 10,000 years old. I could drive an aircraft carrier through the holes in that argument. But, if we ignore the conclusion, it really is a good question. The conclusion at the time was that most of the variations were adaptively insignificant or neutral. There was some uncertainty about whether there was enough non-neutral variation within populations for evolution to occur. The argument is this: If all these variations are effectively neutral (meaning there is no evolutionary significance), then how does evolution function when there’s nothing to work on? In the late 70s and early 80s, geneticists began to realize that there was something else going on. High school (and freshman college) biology rarely gets beyond the “DNA is the code for proteins” level of knowledge. And this is probably where a lot of the problems lie. The scientists of the time where beginning to see genes that didn’t code for proteins. Instead, they were regulatory genes. They controlled how and when other genes were activated. Think of it this way. There really isn’t a gene for height. Tall people don’t have one allele and short people have a different allele. Or even two or three alleles that combine to make tall, short, or something in between. There is a human growth hormone produced during development. And perhaps dozens of other genes that control how much and for how long that human growth hormone is produced. Variations in the growth hormone DNA will probably result in a protein that doesn’t do what it’s supposed to (resulting in massive dwarfism or death). However, variations in those regulatory genes won’t prevent the protein from working, just change how much is produced. Less protein results in a shorter person. The data, even in the early 80s, suggested that mutations respond to environmental forcing and that’s where McDonald is going with this. McDonald then spends five pages discussing the evidence that supports the “Darwinian paradigm”. He closes with the statement “In summary, there appear to be significant levels of regulatory gene variation within natural populations.” He uses this figure to describe the hierarchical structure of gene regulatory networks. Basically, mutations in the regulatory genes closer to the protein coding level (in this example R1 and R2) would have less of an effect on the phenotype than a gene like R3, at the bottom of the diagram, that controls many regulatory genes. If R3 is mutated and doesn’t work, then everything else below it fails. Genes like R3 are highly conserved within a population. Where something like R1 might exhibit quite a bit of variation making (say if phenotype 1 is ‘height’). Why don’t Meyer and the rest ever talk about those sections of the paper? Nope, they only interested in one part… the part where Darwinism is called into question. McDonald then spends six pages talking about how to determine the adaptive significance of this naturally occurring genetic variation. There are no fewer than seven examples (keeping in mind that this is from 1983). Then he talks about the “abundance of regulatory gene variation in natural populations, with potential adaptive significance”. Note that this information is very, very different from the “do not vary” claims of Dembski and Meyer. If you’re still here, stay with me. We’re getting close. I’m going to pull a few passages from the paper and we’ll get to the famous paradox. Based upon the results presently available [ed: 1983], therefore, it is reasonable to conclude tentatively that much of the genetic variation that exists in natural populations has potential adaptive significance, at the least. Now, why doesn’t Meyer and the rest mention this? Because it directly contradicts their claims. And they don’t want that. McDonald explain why the quote I copied above is true, then says this. As mentioned above, much of the adaptive genetic potential contained within populations may be conditional. If this hypothesis is correct, it would present a formidable methodological problem for those attempting to evaluate the adaptive significance of naturally occurring genetic variation. At the same time, however, the phenomenon of conditional adaptive significance seems to subvert many of the early theoretical objections based upon the concept of genetic load that were raised against the Darwinian paradigm. Basically, this is saying that the fitness of an allele is conditional. Think about sickle cell anemia here. The sickle cell condition actually has some adaptational advantage, provided it exists in an environment with the malaria causing parasite. Although the paleontologists’ objections are directly relevant only to Darwinian conceptions of evolutionary rates, they have indirectly cast doubt on Darwinian conceptions of the mode of evolution as well. Even closely related species are frequently distinguished by major structural, functional, and/or behavioral characteristics that make them adapted to their particular niches. however, since the magnitude of interspecific adaptive variation for the most part substantially exceeds the degree of phenotypic variation observed to be segregating intraspecifcially, it seems reasonable to conclude, as Darwin did, that selection gradually brings about major adaptive changes. This is something that I didn’t realize had been known in 1983. It’s certainly a well established fact now. Basically, there is more variation within a population (think about the population of domestic dogs or people for that matter) than there is between other species (wolf, coyote, and dog for example). Again, this is easy to show and it’s how evolution works. Under certain conditions large dogs might have an advantage. Under other conditions small dogs might have an advantage. Which is more evolutionarily fit? The question makes no sense because we don’t have any conditions to base a decision on. Say something happens and domestic dogs have to survive without humans. Big dogs are OK because they can tackle big prey. Small dogss are OK because they can live on small prey and hide easily. Medium dogs may get the worst of both worlds. They are too small to get big prey, but to large to survive on small prey. They are too small to fight effectively, but too large to hide effectively. After a few generations, we have, for all practical purposes, a speciation event. We have big dogs, which never breed with small dogs. This information, which really is devastating to Meyer’s claims, have been well known for almost 30 years prior to the publication of his book. This would be the equivalent of someone writing a book about how there is no way fission could ever be used as a weapon… in 1974. The problem for the Darwinian view, however, is that there has not been any variation observed within natural populations in those regulatory loci set deep within the control network (Figure 2), as was mentioned above. In other words, the results of the last 20 years of research on the genetic basis of adaptation has led us to a great Darwinian paradox. Those loci that are obviously variable within natural populations do not seem to lie at the basis of many major adaptive changes, while those loci that seemingly do constitute the foundation of many, if not most, major adaptive changes apparently are not variable within natural populations. A devastating problem for Darwinian evolution… unless one has actually been reading up to this point. McDonald continues in the very next paragraph. If the genetic material for major adaptive shifts is not present within species’ gene pools, it must be provided de novo by some sort of mutational events(s). He then describes two experiments and provides references to two more than support this view. These observations, and similar ones in other organisms, have currently led to the view that rapid genomic restructurings play an important role in the de novo establishment of reproductive isolation in higher eukaryotes. As significant as molecular drive mechanisms may be for the rapid formation of prezygotic reproductive isolation, they are only one class of the macromutational processes that are now known to be occurring within the eukaryotic genome. Recent findings indicate that pieces of DNA may not only become rapidly amplified, but they also may be deleted, rearranged, and translocated to new sites in the chromosome. Evidence of these macromutations imparts an overall picture of the eukaryotic genome that is quite distinct from the rigid structure envisioned only a few years ago. The genome is not static; it is dynamic. Moreover, it may be playing a much more active role in the adaptive process than was previously believed. Sorry for the long chunk of text, but this is really central to defeating even modern creationist claims… and it’s from 1983. Meyer was an idiot for including this in his referenced materials. Anyone who reads this article for understanding will see that Meyer’s arguments are utterly and completely wrong. Additional support for these came very recently too. Let me put in a few more quotes from the article, then I’ll do a quick sum up. In this section, I have been arguing for a renewal of interest in the relative importance of mutation in evolution, since it is the only apparent source of the major regulatory chances seemingly associated with major adaptive shifts. In fact, recent evidence suggests that the rates of many mutational events are not always low and constant, but rather that they may increase dramatically during periods of environmental challenge and the consequent organismal stress. The implications for adaptation of such a scenario are significant; at precisely those challenging moments in evolutionary history when major adaptive shifts are required, genetic mechanisms exist that increase the probability that the appropriate variants will be provided. He then provides a number of examples of this. What he is saying, and Meyer is explicitly saying doesn’t happen, is that when there are major environmental stresses, mutation rates in the regulatory genes increase. This provides for greater variation in future generations ensuring (hopefully) that at least some of the population survives. Note what has happened in this article. McDonald describes the history of the concept under discussion. He describes the issues and the supporting evidence. Then he describes the solution to the problem. Meyer and the other creationists have focused on the problem, without mentioning that the solution (and supporting evidence) are contained just a few pages further in the article. This is the kind of deceptive practice that most upsets me. No, that’s not true, concern trolling pisses me off more. I will close with one more statement from the paper. The result of the analysis is that, although the basic Darwinian tenet of natural selection remains intact, the paradigm nevertheless needs significant revision. The results of research in evolutionary genetics over the last 20 years indicate that the adaptively significant variation that exists within natural populations may not be the primary source of many, and perhaps most, of the major adaptive shifts that have occurred over time. This paradox, coupled with recent molecular evidence that many, if not most, mutation events significantly increase in frequency in response to environmental stress, has prompted construction of the following “new wave” evolutionary paradigm. According to this approach, species adapted to their particular ecological niche are effectively protected against most changes in their adaptive needs by the store of selectable variation that is present within their gene pools. Environmental challenges that are stressful to organisms will elicit elevated rates of mutation, consequently increasing the level of genetic variation within the challenged population or species. The periodic introduction of mutational variation into populations has both positive and negative effects. While the genetic load may be increased, this negative aspect can be more than offset by the generation of new, selectively advantageous alleles. And this is just describing McDonald’s solution to the problem of the “great Darwinian paradox”. It’s certainly not a death knell for evolution and anyone who actually reads the article will understand that. Meyer and the other creationists are desperately hoping that no one will read the article and show them that they are no only wrong, but their arguments have been countered for decades before they even made the arguments. How much of McDonald’s work here is accurate? As I mentioned, the research in this is still going on, but it seems to me (from a 30,000 foot overview) that McDonald made some good points and some of the more recent research seems to support him, at least partially. Of course, now we must ask Meyer and the others, why McDonald’s one statement, in the middle of this paper is acceptable for them to use to support their views, but the remainder of the paper is not. * I’d be wondering about copyright infringement, but as all these authors are working for the same organization, I’m sure that’s not an issue. Bravo! You’ve shown that what Meyer at al. have done here is identical to quote mining the first part of Darwin’s “Problem with the evolution of the eye”. The more I see of the activities of the DI, the more I am astounded at their deliberate attempts at disinformation. This is not simply misunderstanding the issue. This is understanding what science says very well, but using selective quotes to fool the naive public. These people are beyond despicable. As I said on Amazon earlier today, the Dishonesty Institute earned their name: Their propaganda is not innocent misinformation, but maliciously deliberate disinformation. They do not misunderstand the issue – they understand very well what they are attempting to do. They depend on the gullibility of their target audience; the willfully ignorant scientific illiteracy of their fundagelical base. It goes back further than Behe…McDonald (1983) is cited in Pandas! That said, I don’t know that there is much evidence that environmental stress increases mutation rates, except perhaps in bacteria, and even there, there have been several cases of such claims made that then don’t pan out. Environmental stress may well increase the phenotypic expression of extant genetic variation, though! Thanks Nick, I didn’t know about Panda’s… apparently that’s not online anywhere. 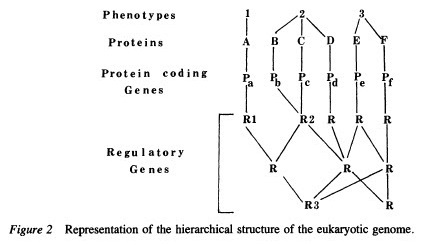 Echols, H. 1981 SOS functions, cancer and inducible evolution. McClintock, B. 1951 Chromosome organization and genic expression. Cameron, J.R. 1979 Evidence for transposition of dispersed repetitive DNA familes in yeast. Again, I make no claim on the veracity or accuracy of these works, just that McDonald found them compelling. And Disqus is acting up for me, so I hope this comes out OK.
You can search Pandas on amazon.com…Yay capitalism! I’m not even getting credit for all this… sigh. P.S. Might you have a spare copy of this lying around? Annual reviews is one I don’t have access too. Nick is, no doubt, right about how well subsequent research has supported McDonald’s ideas but Christine is right about the import of the use by Meyer, et al. of the quote. Probably most scientific proposals are, to a greater or lesser degree, wrong in significant part. But it is the “cherry picking” of bits and pieces from those proposals, deliberately misusing them or, at least, pretending to understand them when, in fact, they make no effort to do so, that is dishonest. If they simply said that McDonald was wrong and, therefore, science is unreliable, they’d be drawing an unjustified conclusion but it wouldn’t be a dishonest use of McDonald’s work. They’ll never stop at just that. Nick: I’m not surprised that the Behe’s abuse of McDonald was not the Ur-quote-mine. It was always hard to trace quote mines down to the first instance of use, since the creationists plagiarize each other freely (though, as I noted in the QMP, the errors that inevitably creep in can lead to phylogenetic histories of quote mines just as mutations can do in evolutionary science). But given the timing of McDonald’s paper and the earliest drafts of OP&P, it was at least near to the original source. I’ve even heard creationists use this as an attempt to support Young Earth Creationism. If, they say, evolution is correct, then species will, over time, lose unfit alleles and they will all be very, very similar. Wait a minute! I thought “junk DNA” was a prediction of “Darwinism”? Of course, natural selection could have reduced non-utile DNA in genomes, if there was a selection pressure to do so. On the other hand, ther might be little or no selection pressure to reduce junk DNA. And it could always have been a result of another evolutionary mechanism. What actually happened was that after it was empirically established that junk DNA makes up lots of the geome, some anti-creationists pointed out (perhaps not philosophically wisely) that junk DNA didn’t seem to fit with an omnipotent, omniscient “Designer.” Stung, the IDers have made turning the rhetorical point around a major focus of their efforts, leading to all sorts of mischief. Oh Cthulhu, I do not want to get into the junk DNA thing right now after reading scathing comments on the recent Science perspective article. As far as it goes, creationists (I’m referring here to the run of the mill, non-leader types) will say ANYTHING if they think it gets them out of a conundrum or will perplex the science person. They don’t think about the obvious conclusions of what they say. The guys at Panda’s Thumb are great examples of this. Say one thing to get out of a corner, then realize two pages of comments later that they are in a bigger pickle, then they flounce away for a couple of months and hope everyone forgot what they said. I think it’s clear that you’ve totally shredded the Great Darwinian Paradox and Dr. Meyer’s argument based on it…in your own mind. However, most people reading your post would still not be able to articulate just what the paradox is and why Meyer believes it remains so. For those of you relying solely on Mr. Retreat’s version of the paradox, there’s more to the story. Here’s a hint: the title of the chapter in question is “The Origin of Body Plans”. For this reason, I’m considering an offer to send any person interested exactly one free copy of Darwin’s Doubt (up to a maximum of ten (10) persons) so they may read for themselves unfiltered what the paradox really is. And just so no one thinks they can pick my pocket by requesting the book with no intention of reading it, I’m going to send the Discovery Institute $100 for every book given away up to a maximum of $1000. That is of course if you’re willing to forward me their contact information. No. Boy, anything to get out of an embarrassing situation. Here is the “great Darwinian paradox” as stated by McDonald. That’s all. This has nothing to do with body plans, or even macro-evolution. Look closely… McDonald never even uses the term. He’s talking about adaptation. The examples he gives are within species. The term “Macroevolution” (like what Meyer has talked about so far in his book) is a CREATIONIST insertion into McDonlad’s work. Any attempt to make this apply to body plans is simply wrong. Whether there is a Darwinian paradox with respect to body plans (for example) is immaterial TO THIS POINT. And that is Meyer and the other creationists are quotemining McDonlad. Indeed, if they are using McDonald’s work as an attack against body plans, then they are also guilty of creating a strawman argument. Finally, I note that you don’t address any of the actual science here. If you have access to a university library, then feel free to look at McDonald’s examples. It won’t sway you. There’s no amount of evidence that will do this. Your mind is made up and that’s a shame. 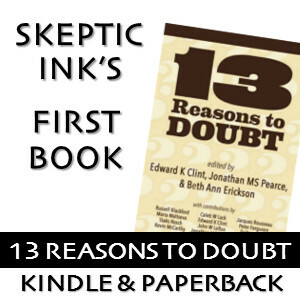 So you’re unwilling to allow your readers a free copy of Darwin’s Doubt? respect for them than you do. Sorry but I don’t find myself in an embarrassing situation. I just want to see you crush chapters 13 & 14 as thoroughly as you did 1 & 2 (and the prologue for that matter). That’s all I ask. It’s a simple request. When can we expect the first installment of your 27 part series or are you planning on tackling the really hard parts like ID as god-of-the-gaps creationist claptrap? Lastly, my mind is made up (but not closed) and why is that a shame? It’s called conviction based on evidence unconstrained by an a priori metaphysical adherence to methodological naturalism. On the contrary, your mind is made up and it’s called childish obstinacy as evidenced by your refusal to correct your calculation in your origin of life post. Can’t have a creationist correcting a Darwinist now can we? It’s a minor point but your refusal to fix it speaks volumes about your made up mind and your character. Wow, you really are struggling aren’t you. You made your offer in public… if anyone wants to take advantage of it, then they can post. I’ll happily mediate or not as you two like. I’m not saying you can’t do anything. It’s a shame because everything you see if filtered through what you believe to be true. You don’t actually look at the evidence. 1) Yes/No : Does McDonald, in his paper, describe a solution to the ‘paradox’? 2) Yes/No: Does McDonald, in his paper, say anything about macroevolution? You’re the one who was at the university library, look it up if you don’t believe me. As far as chp13 and 14, I’ll get to them when I do. I’d really much more talk about how ID solves the conundrum that they invented. We’ll see. Anytime you would actually like to talk about the biology, let me know. I’m sure there are plenty here. Let me ask one final question. If I, with my bachelor’s degree in Earth science and minor in Biology, do not successfully (to your standard) refute chapters 13 and 14, does that mean that ID wins? Hmmm… I think McDonald was making the opposite point to the one you assign to him in your precis. He is saying that, because species tend to be relatively conservative in their phenotypic variation, it is reasonable to assume that major adaptive changes do not happen because the species samples a large are of the phenotypic landscape. Rather one assumes that, to move across phenotype space requires a gradual journey. I haven’t read the paper, so I’m not quite sure how this point sites with his argument that variation+selection is not sufficient to account for large phenotypic changes, but such dynamics are much better explained by mutation in regulatory genes: it seems somewhat in tension with it. But still, I think you missed his point. And while it is true that, in some cases (domesticated animals are a favourite, but are examples of artificial selection, so care needs to be taken in using them as models of general evolutionary dynamics), intraspecies variation is larger than the variation between that species and a carefully selected comparator, that is hardly the rule, surely. You may be correct. I’m still looking at this from a modern perspective. Where we tend to have conditions where there is more phenotypic variation within species than between species. Still, your point about the regulatory genes is correct and that’s the source of the great Darwinian paradox. That the protein level genes that don’t seem to cause major adaptive shifts are highly variable, but the regulatory genes that do seem to cause major adaptive shifts aren’t variable. As far as examples, I can think of recent work on humans, dogs, (as you said) domesticated animals, etc. So I think it’s an acceptable idea. No, stop wishful thinking people – the jig is up – HGT, Jumping Genes, convergent evolution, epigenetics, and more are where it is at – random mutation and selection do NOT and can NOT increase information necessary to turn a cow into a whale – while you fret on about Darwin, you fail to see we have passed 1950’s science. http://www.thethirdwayofevolution.com – NO JUNK, NO “degenerate DNA” amazingly fortuitous HGT and jumping genes, same genes used for completly different critical functions, the tree of life gone.. you need to move on. Why must you try and defend some antiquated ‘lunch box” ideas about a massively complex process….when I read these comments I am reminded that most people don’t want the truth, they just want to keep hearing things that support what they are comfortable with. I see you have fallen for outdated 1850’s and 1950’s wishful thinking… Darwinism does NOT WORK – it is a method of killing off things that are randomly altered genetically, that’s about it.. I did not fall for anything HGT and jumping genes are names given to very real genetic findings, but they have never seen genes JUMP, or HGT taking place in anything but a bacteria -it is common design – explain if you will why birds and humans share 60% of their vocalization genes, but no non-human primate does? Go ahead give that a try.. its a fact, explain that one away… and explain the random appearance of digital code of DNA – you can’t… I mean it is error checking and correcting software – and JUNK DNA is turning out to be analogous to an operating system – but it’s still all chance right? WRONG – nothing to do with life or this universe is chance… oh wait, you will claim the multiverse, where unicorns and rivers of chocolate flow.. now that’s science! No you define it. It was the selfish gene and not it is a complete mystery. Instead of the tree of life, we are now seeing it as an “impenetrable” thicket” – a theory just can’t keep adopting other incredibly complex mechanisms, most of which the cause and underlying mechanisms are unkonw, that completely go against the idea that random mutations and selection do ANYTHING except kill the host. a Theory can’t prove itself by circular reasoning and going against what we actually observe in the fossil record. From the Cambrian Explosion, to modern genetic studies, this idea that life, which is information based, has no purpose and is a huge series of lucky and breathtaking process, could come from a roll of the dice and natural forces (that we know of) is dying out, to new secular theories that use terms like “Natural Genetic Engineering” LOL – what is next “natural genetic programming”?? You “luck and necessity” folks will be footnote in a history book – Darwin is already headed this way. Junk DNA – WRONG, Tree of LIFE WRONG, vestigial waste – WRONG, similar embryology at early stages, gill slits and the like – wrong and fraudulent, the role of genes, completely and utterly WRONG. It’s like the global warming theory in many ways, play with the data until you get something you want, and through out the rest, and then keep modifying the failed theory as data comes in, hoping it will get some credit, when a NEW credible theory arises. http://www.thethridwayofevolution.com is testimony to the FACT that we need a completely different approach to biology as it does not adhere to forces of nature that we know of. neo-darwinism is dead, Evolution is not what we thought, not at all, so it’s time to call it a mistake – new theories, not just incorporating new mechanisms is required. They jumped on mutation in genes as it was the only way to keep the process of change random and without purpose – you don’t create a theory and call it fact for philosophical reason. Third Way huh? Isn’t it amazing how a bunch of anatomists and physiologists can tell evolutionary biologists that they have been wrong all this time with absolutely no supporting evidence. More hilarity. You’ve never – not once – actually looked at actual DNA sequence data, have you? Go away and read your creationist books. Hilarious. Let me guess – a BS in electronics engineering or political science or something, right? Why are so many people opposed to any innovation to the current Neo-Darwinian theory of evolution? I am very much opposed to the Modern Synthesis (Neo-Darwian) version of evolutionary theory that people like Denis Noble and the Third Way are attacking. I support the more recent versions that are presented and described in the all latest versions of evolutionary biology textbooks. My main beef with the Third Way movement is that it’s proponents have not kept up with the changes in evolutionary theory that have taken place in the past 40 years. They attack a strawman version of evolutionary theory while revealing that they do not understand any of the more modern concepts. I have yet to see a single bit of evidence from Third Way proponents that compels me to re-think or revise the evolutionary theory described in Futuyma’s book or in the writings of Michael Lynch. Their “evidence” has very little to do with evolution. This does not discount the point made by DI at all. The point is that since greater adaptive changes cannot take place within the gene pool, it must be done through mutation. And to that point, DI, as well as common sense, and actual observation, would tell you that mutations are destructive to the organism and do not lead to beneficial adaptation. No, DI is making the point quite well, but some of you just need to learn how to read. Oh, I can read just fine.